Congratulations to Erin Waters who (unlike just about everyone else who voted for French seams) says that her favorite seam finish is a flat-felled seam. But don’t despair if you didn’t win. We have a little something special for most of you, too. 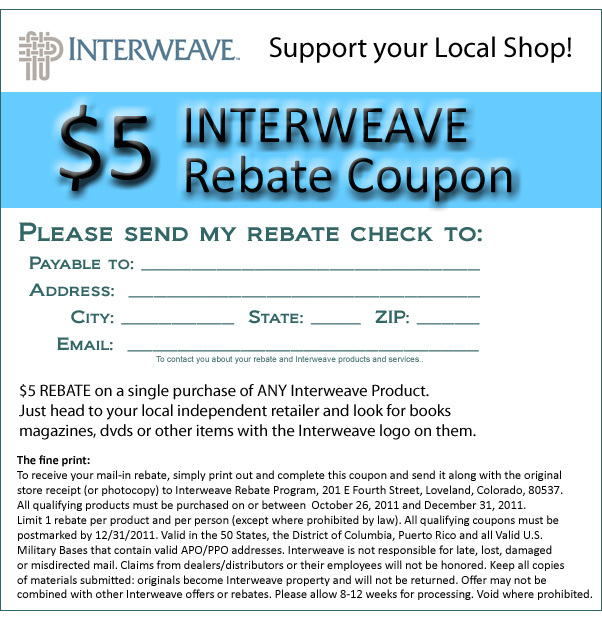 Through the rest of December, Interweave is offering shoppers in the United States a $5 rebate on the purchase of either of Liesl’s workshop videos. Click on the coupon above to enlarge and print it. 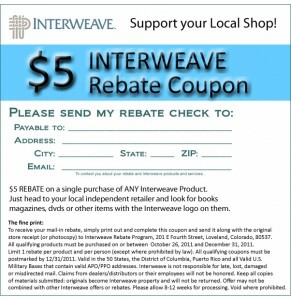 Send the completed coupon to Interweave along with a copy of the emailed sales receipt you receive when you purchase one of the DVDs, and Interweave will send you the rebate.